Here is a brief about Understanding the History of Recording Studios. People didn’t always have recording studios where they could go to help realize their music dreams. Yet, over time, as technology continued to develop and people saw a use for being able to record and playback sounds, recording studios began to emerge. Today, they are an integral part of the global music scene. In this article, we will walk you through a brief history of recording studios as they stand today in modern day America. The idea of recording music first originated when Thomas Edison invented the phonograph in order to improve the quality of the telephone in the late 1800s. It consisted primarily of cylinders made of foil and was able to record sounds. Soon after, Emile Berliner invented a way to mass-produce recorded discs, which paved the way for great artists to go and have their work recorded. 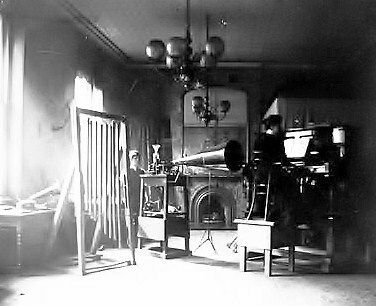 By 1889, boxes with the ability to reproduce recorded sounds were invented and within the next year, the first recording studio was set up called the New York Phonograph Company. 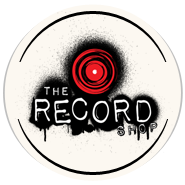 Within the next two decades, several recording studios had popped up that were producing records on wax discs. By the early twentieth century, the hand-cranked Victrola was replaced by the triode, which completely revolutionized the scale at which recording studios could now operate. Once electronically recorded music became the next big thing, Western Electric came around the corner and began to use amplifiers and microphones for recording purposes. This was a massive change in the history of recording studios since before the use of this equipment, the people making music would have to sit very close together and even closer to the equipment, making for an uncomfortable recording experience. In the mid-1900s, the recording industry started to use magnetic recording tapes, which meant that recordings could finally be edited. Soon after this development, multi-track recorders emerged, allowing audio engineers to mix different tracks recorded at different times. Of course, now we are in the digital age where much of the recording process is done on computers and the possibilities are quite literally endless. There’s a whole lot that happened in between all these big inventions that shaped the way we record our music today. When did you first visit a recording studio? Was it before the digital age? And that concludes Understanding the History of Recording Studios.